You are currently browsing the daily archive for May 16, 2011. 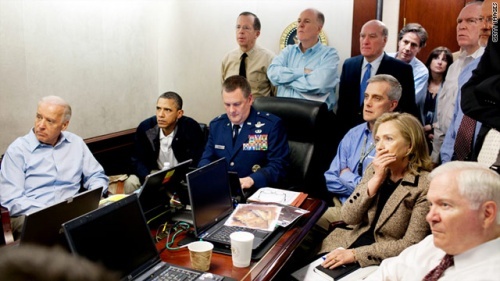 Amongst the plethora of photographs released after the killing of Osama bin Laden, there is a particularly telling one of President Obama and senior officials. In Time magazine it is captioned ‘A view to a kill’, which suggests that the group is looking at a screen on which the last moments of Osama are being displayed. One feature stands out immediately in the picture. In a group of hard-faced men, Hillary Clinton sits with her hand over her mouth, her eyes seemingly displaying a sense of shock that no one else in the picture shares. The others are most of them involved in security activities, including military men, with the only other female amongst them, White House counter-terrorism chief Audrey Tornason, sharing in her eyes the steely determination of the rest. To me it was an endearing photograph of Hillary Clinton, for it suggested the human dimension that should never be forgotten when hard decisions are made. 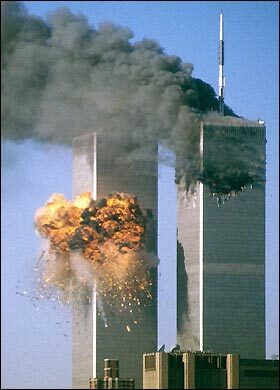 I can quite understand the anxiety of the Americans to do away with Osama bin Laden, and after the appalling nature of the 9/11 attack, it would be churlish to claim that the force they used was excessive. But it is important that the occasion should not have been one of unrepressed aggression, and that a sense of decency was also maintained by at least one participant is salutary. And not only one. The other face that stands out is that of Barack Obama himself. All the other faces are complacent, his is not. His face registers the enormity of what is happening, a determination to see it through, but also an understanding that the decision was not an easy one. The face no longer exudes youthful exuberance, and this is clearly a man who has aged in the last couple of years. But it is still a human face, with no trace of the easy sanctimoniousness that both George Bush and Tony Blair displayed when they justified selfish excesses.